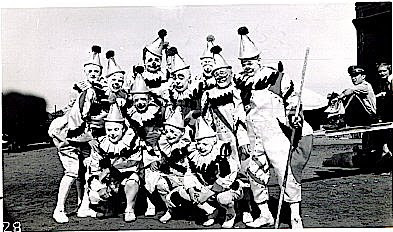 I see Felix and Chesty in there, but I also see Harry Dann so I'm guessing this is from somewhere between 1947-1950. Anyone know the exact year for this one? Dean Chambers has a great story about Lou selling off some of his props when he retired. 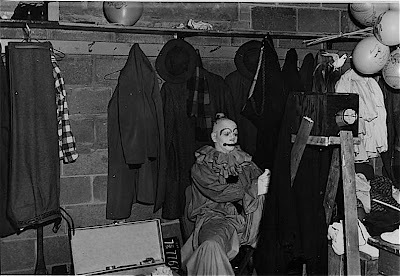 Some of the younger clowns went down to Lou's prop storage (in a strip mall) with him and watched him pull out the stuff he'd accumulated from his years and years of circus clowning. For more info on these loony leeapers, please click here. 40 foot tall steampunk elephants. 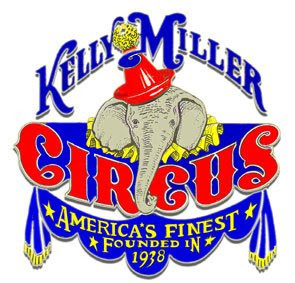 I got a call from John Moss, the ringmaster of "America's One Ring Wonder" the Kelly-Miller Circus, last night informing me that my likeness was selected to grace the cover of their 2008 circus programs and that a few copies are in the mail to me now. I am very deeply honored to have been considered worthy of the conferment of such exhalted distinction. I miss my friends and the show very much and often wish that I was back over there. The whiteface/auguste team of Ron Jarvis and Mark Buthman. For viewing this photograph, you now owe Mr. Jarvis $5.00. 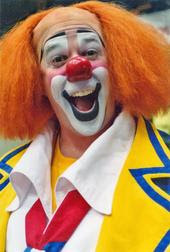 "Some clowns overdid a makeup. Danny Styron shaved his head, made up his whole head then wore a suction cup attachment to hold a small feathered bird on the center top of his head. 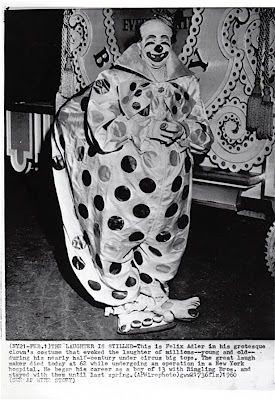 He always wore a Halloween romper type of clown suit that we always called a Yama-Yama suit. He had his name all over the side of his own truck and wore his makeup downtown to do his shopping. Because of his appearance and actions, we regarded him as an amateur. 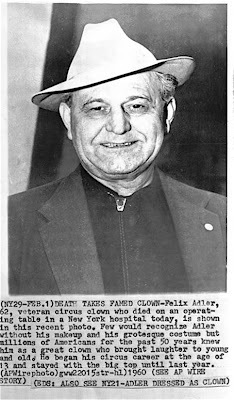 In the ring he was a good clown and worked constantly." 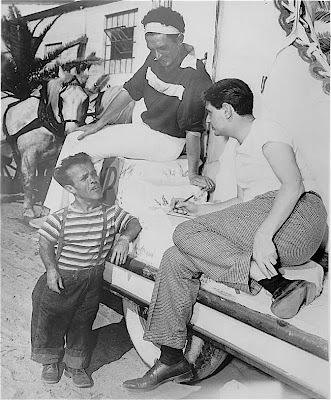 ICHOF inductees Prince Paul Alpert and Ernie "Blinko" Burch speaking with an NBC Television reporter in May of 1950. 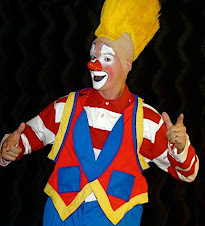 Look for Clown College alumni Barry Lubin as Grandma, Greg and Karen DeSanto. 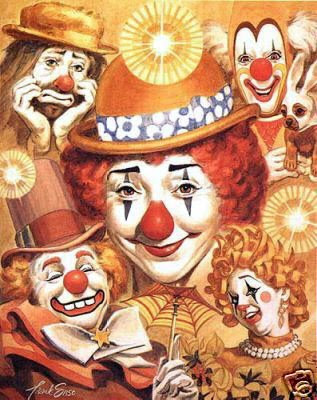 Grandma Goes to Hollywood was directed by next season's BAC director, former Director of Clown College, Steve Smith. 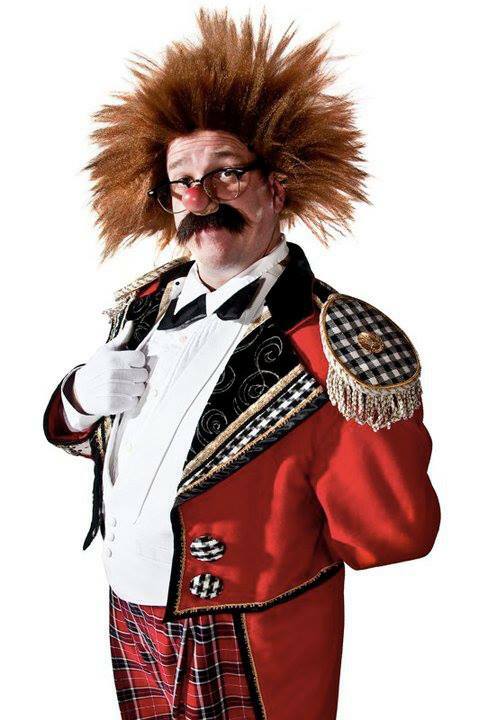 ANYONE INTERESTED IN A CIRCUS TRUNK? Is there anyone out there interested in an old-fashioned stand up steamer trunk? 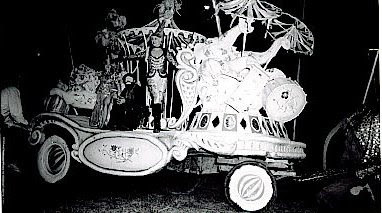 It's the one that I used while on the road with Ringling but I have another one now and I don't really have room in the garage anymore for two. Anyone out there know where and when this one is from? Felix and his good friend Jack LeClair chatting up some of the ladies. 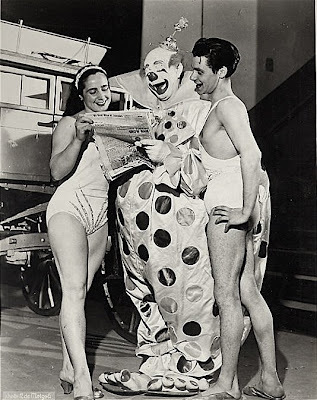 Felix with two young performers. 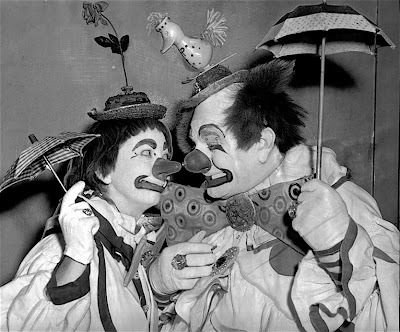 If I had to guess, from the costumes, I'd say it was Francis and Lottie Brunn? 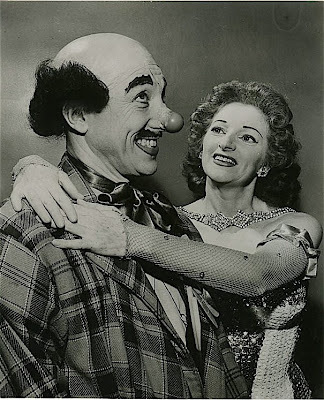 Felix with his lady love, Amelia Mullen Adler, September 19, 1957. Two AP photos and brief obituaries released February 1, 1960. 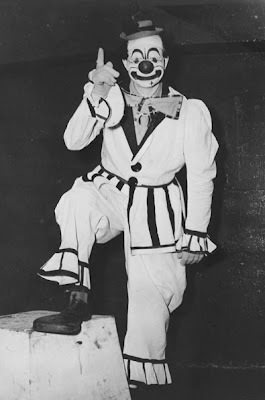 If only Felix could have hung on another few years and met the first few Clown College classes.. Daring, unimaginable feats accomplished with genuine style. 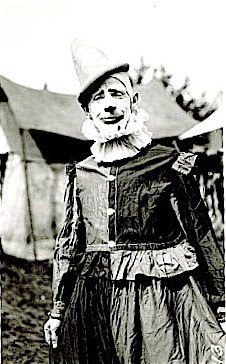 An unidentified whiteface clown who looks to me like he could be Beatty-Cole's Jimmy James in an earlier makeup. 20 more copies of the first volume of the official CLOWNALLEY.NET compilation DVD were burned today and will be ready to ship on July 25th. 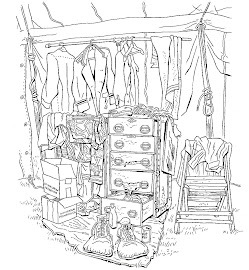 No more copies will be printed until Volume Two in the series becomes available this fall. 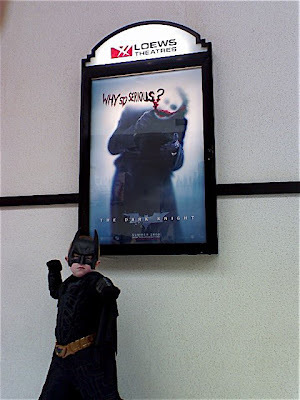 Shane gave The Dark Knight one very enthusiastic "bat-fist up", the very highest accolade that any film can receive from a superhero-obsessed five year old boy. 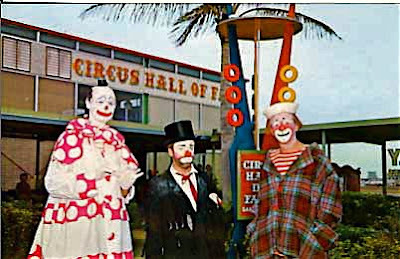 Mike "Coco" Polakovs and two other clowns (the whiteface may be "Bob-O") at the Circus Hall of Fame when it used to reside in Sarasota, FL. 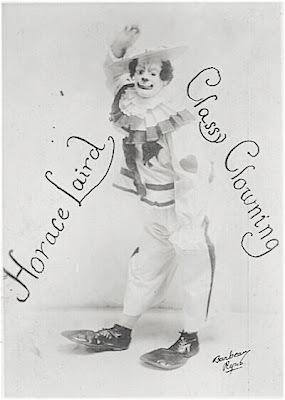 "Horace Laird was one of the hardest working clowns on the Cole Bros. 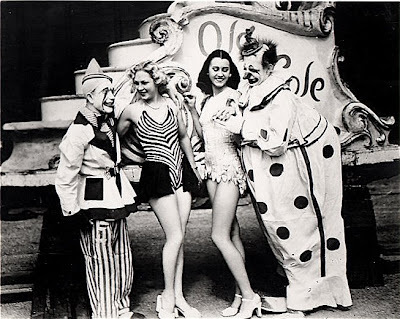 Circus for almost 15 years, from 1935-1950. 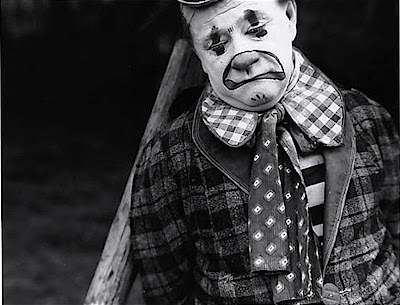 He was just an average background whiteface makeup clown. He never received more than a thirty dollar salary in all those years. Going downtown to the post office and picking up the show mail each day and selling the "Billboard" magazine each week on the lot for extra money made up his winter savings. 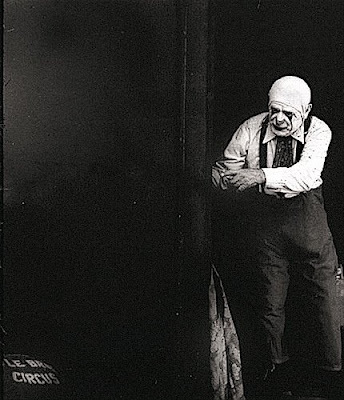 He lived alone in one room in Chester, PA, stretching his savings through the winter until it was time to go to Louisville again and start a new season. Cole Bros. closed permanently in 1950. 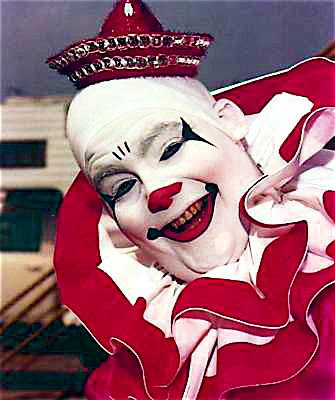 In the spring of 1952 Billy Griffen, as Boss Clown, got Horace a job on the Kelly-Miller Circus opening in Oklahoma. With all the years of skimping and not eating the right food he wound up with a very bad case of diabetes. He could never remember the dosage of his required daily insulin shots. Mrs. Cuthbert, the show nurse, gave him his shots each morning and immediately after he would go to the cookhouse and eat all the frosted sweet rolls or donuts they would give him, thus negating the effect of the insulin shots. 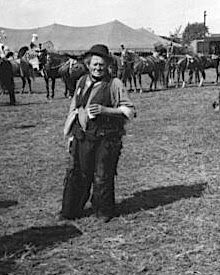 we had to send him home in mid-season with a note pinned to his coat for the railroad conductors saying, "I am Horace Laird. I go to Chester, Pennsylvania. I am a diabetic." He was, by then, only aware of who he was half of the time. There was no one there to take care of him and before the year was out we heard that he had died." Your New Best Friends (Daniel Passer, John Gilkey and Wayne Wilson) in their "strongman" scene. 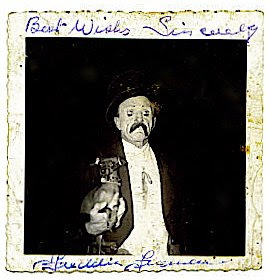 Here artist Frank Sose has slightly amended the makeups of Annie Fratellini, Lou Jacobs and Felix Adler while leaving those of Emmett Kelly Jr. and Bobby Kellogg unchanged. 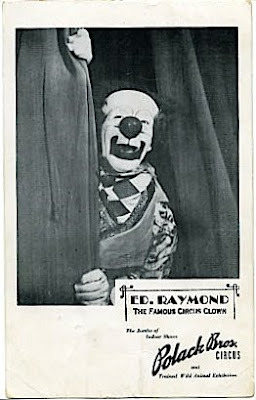 I wasn't sure if the other whiteface in yesterday's Polack alley photo was Ed Raymond but now I'm fairly certain (thanks in part to my pal Sandy Weber) that it was. 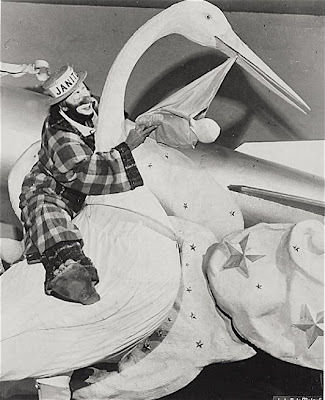 Michael Halvarson's comedy pickpocket act from Cirque du Soleil's KOOZA, directed by David Shiner.